Last year we’ve talked about screens replacing bathroom mirrors and screens in fitting rooms (or Tweet mirrors) but we didn’t anticipate, at that time, that tiny screens in magazines will complete the list! Marie Claire is the first UK publication to have a small LCD screen inserted on two of the 396 pages of its latest issue. 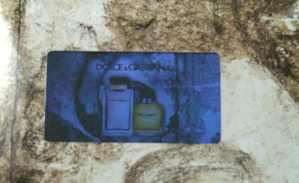 The screen plays a 45-second video ad for a fragrance of the luxury fashion label- Dolce & Gabanna which includes music and begins to play when the page is opened. The technology, developed by US company Americhip, has already been used for international titles such as Russian Vogue. The magazine has won the media’s attention again with its innovative use of digital media and we’re pretty sure that it succeeded to surprise its subscribers as well. Who would expect to find a video ad whhen flicking through a magazine? Marie Claire is definitely not like the rest. 1) Going beyond reaching the right audience. What Marie Claire and P&G (the company producing the fragrance and placing the ad) wanted to achieve is not only delivering the message to the target audience but also innovating in terms of media use. Marketing agency, HubSpot tells us that visual context trumps text in driving consumer engagement, statement backed up by data showing that videos are shared 12 x more than texts and links. So obviously, people prefer visual communications to text. Then why not merge the two? 2) The power of the screen. 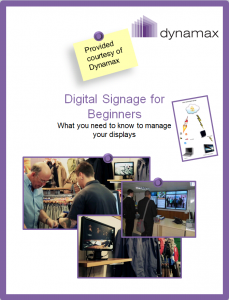 If you’ve ever had doubts about digital signage, the fact that a screen has been inserted on a sheet of paper speaks volumes about the medium’s branding and communication capabilities. Digital advertising screens can support one of the most eye- catching, attention- grabbing media files out there- videos. If a picture is worth a thousand words, what would you say about a video? 3) The power of videos. Every week, more than 100 million people ‘like’, ‘tweet’ and ‘vote’ Youtube videos, proving the popularity of this type of content. What the advertiser has done in this case is using people’s favorite communication tool to deliver their message in the right context. 4) Extreme advertising? One could argue that a video ad inserted in a magazine doesn’t give consumers the possibility to accept or decline to view it, as it happens online. Or that the on-page video ad could be likened to banner ads popping up when you least expect (or want) them. The counter- argument to this is that people can choose to flip the page and stop the video at any time, just as they would online. What do you think about the news and what’s your stand on this? Do let us know below. As for us, we’re really curios to see which will be the next unexpected location where we’ll find a screen in action (suggestions welcome in the comments section). Learn more about the power of targeted video communications by downloading our free white paper. This entry was posted in Marketing and Advertising, News and tagged advertising by Dynamax. Bookmark the permalink.